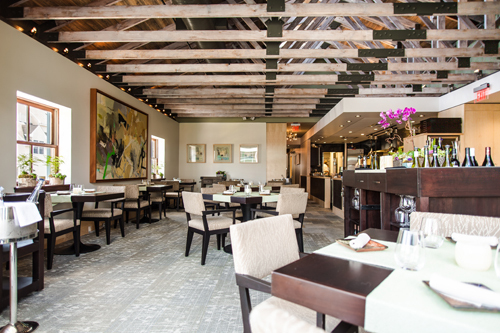 The critically acclaimed upscale eatery, elements, has a new home in downtown Princeton as of August 11, 2015. With its reopening at 66 Witherspoon Street, gastronomes can continue to savor Chef Scott Anderson’s award-winning “interpretive-American” cuisine, but in an exquisite new venue that only enhances the experience. 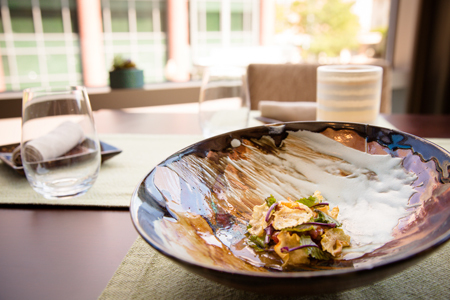 Elements’ focus on a personalized dining experience is evident from the moment guests arrive. Upon entry via a doorway located on Witherspoon Street, guests are greeted by elements’ hostess and escorted to a private elevator that provides direct access to the restaurant. 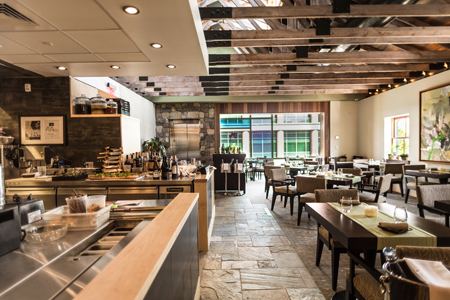 The interior space has only 28 seats available at nine tables inside the restaurant – all within view of the open kitchen – to ensure that guests are provided the utmost care and attention. In addition to the main dining room, elements features two private dining rooms, which can accommodate a combined total of 40 individuals. The seasonally driven menu changes daily to feature the freshest ingredients that are often sourced from local farms and producers. These ingredients are prepared using progressive, modern techniques to draw out the purest flavors in Chef Anderson’s entrees. 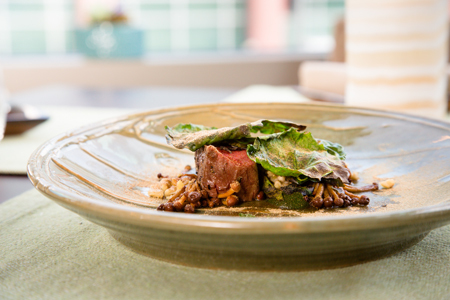 Among these decadent dishes are this week’s “Plate to Date,” the Bison Tartare with tropea onion, kohlrabi, and jujube and the Wagyu Beef with buckwheat, miso, walnut, brown enoki, and mushrooms. To complement the Bison Tartare, elements’ esteemed Wine Director, Carl Rohrbach suggests the Domaine Mee Godard, 2013, Morgon, “Cote du Py”, Beaujolais. The wine is 100% Gamay from Morgon in Beaujolais (southern Burgundy). Morgon is one of ten Crus in Beaujolais and Cote du Py is considered to be one of the best vineyards in Morgon. To accompany the Wagyu Beef, Rohrbach recommends the Produttori di Carema, 2010, Riserva, Carema, Piedmont, Italy. The wine is 100% Nebbiolo from “Alto Piemonte” in Carema, which is on the border of Piedmont and the Valle d’Aosta. Produttori di Carema is a cooperative of a number of small vineyard holdings of farmers in the Carema DOC. In addition to these entrees, on weeknights, guests can choose from an offering of the chef’s tasting (ranging from 10-12 courses) and grand tasting (ranging from 17-22 courses; available with one-week prior notice) as well as a four-course prix-fixe a la carte menu. On weekends, a five-course tasting, the chef’s tasting or grand tasting menus are exclusively offered. To experience these innovative entrees, make a reservation at elements new location Tuesday through Saturday from 5:00 to 9:30 PM.